Back in the day kids had one teacher for everything as they sat in the same seat for hours on end taking notes off the chalk board. 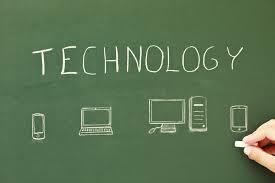 Nowadays, classrooms are equipped with white electronic boards that have images and information zooming across the screen at the click of a button. Students are interacting now as they are encouraged to participate and work with the technology being used during the lesson. No matter what interesting and new apparatus you are using, kids know what it is and how it works even before their teachers do.